Espresso is the most viable coffee-making technique in terms of commercial brewing. Professional appliances can satisfy high demand for coffee and, consequently, they can handle high workload. There are lots of modifications, but they use one and the same principle: 9 bar pressure, created by water-steam mixture, forces water heated up to 88°С-92°С through tampered fine coffee grounds. Finally, the water fills cups. The choice of a commercial appliances should be determined by the range of tasks assigned to the organization, its status, popularity, and the required amount and quality of drinks. The most important characteristics are the number of groups featured in a model, correlation between the boiler’s volume and heating elements’ capacity, presence/absence of boiler- and pump pressure indicators, economizer, and a cup-warming tray. Also, you can adjust temperature in each individual group. Personnel’s qualification is another important criterion of choice. 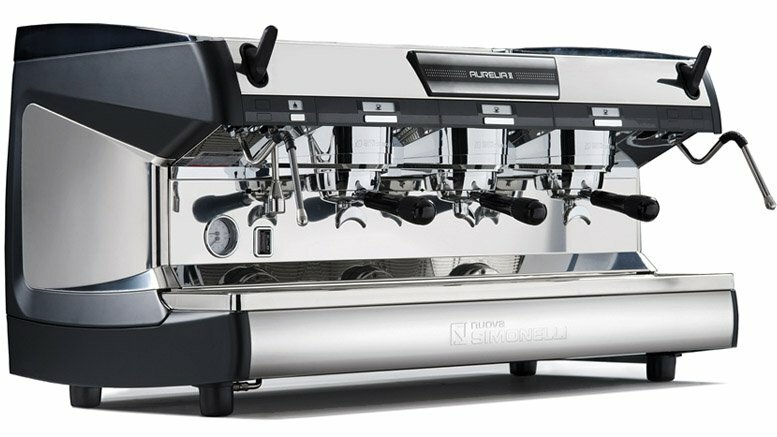 A traditional semi-automatic appliance will be the best option for a professional barista. Less experienced employees can do well with a professional coffee machine. All they need to do is press buttons and let it do the rest of the work itself. Unlike traditional coffee machines, which require manual work when brewing, professional super automatic coffee machines do everything themselves: grind beans, brew espresso, and put used grounds to the waste compartment. Baristas are not involved in the process. It makes coffee with a uniform flavor. All you need to do is press a button, wait 30 seconds, and enjoy a cup of excellent espresso or cappuccino. However, this kind of machine requires proper care. It must be cleaned every day by an experienced bartender or barista. 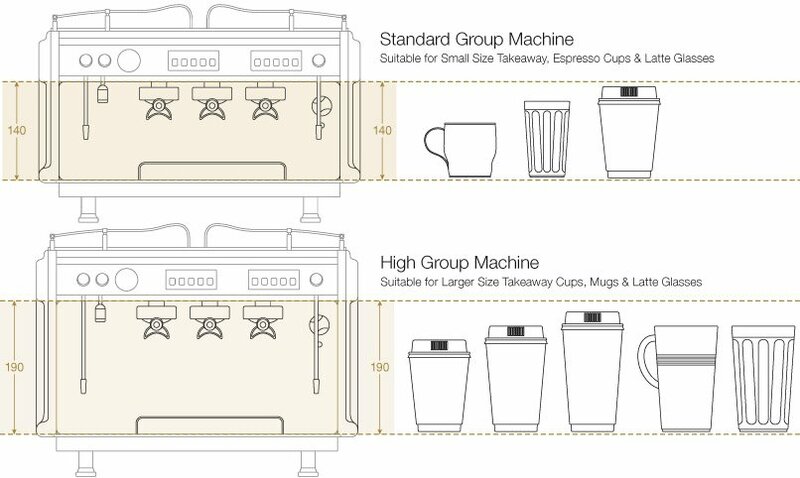 According to capacity, traditional professional coffee makers are categorized into single-group, 2-group, 3-group, and 4-group ones (the latter are very rare). Each group handles 1 to 2 cups simultaneously. 2 group appliances are the most common ones. They are cheaper and have enough capacity to satisfy low, medium, and, not infrequently, highly attended bars. They do not require a second barista, as 3- and 4-group machines do. Restaurant owners, who hire two baristas, usually choose two 2-group coffee machines (in different places) instead of a 3- or 4-group one. Some of models come in compact and hi group options. Some traditional coffee machines are permanently connected to water supply systems, while others need to be filled manually. The latter are ideal for places not equipped with water supply systems. The choice of such a commercial espresso makers depends on the volume of the water tank: the bigger it is, the less frequently baristas have to add water.